Jesus, I believe that by Your own power You rose from death, as You promised, a glorious Victor. May this mystery strengthen my hope in another and better life after death, the resurrection of my body on the last day, and an eternity of happiness. I firmly hope that You will raise me up glorified. 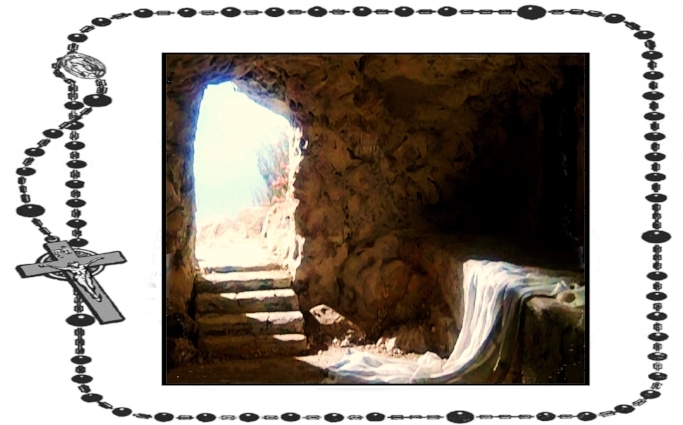 Through Your glorious Resurrection, I hope that You will make my body like Your own in glory and life, and permit me to dwell with You in Heaven for all eternity. I believe that Your Resurrection is the crown of Your life and work as God-Man, because it is Your glorification. This is the beginning of the glorious life that was due to You as the Son of God. Your Resurrection is also the reward of Your life of suffering. Jesus, my Risen Lord and King, I adore Your Sacred Humanity which receives this eternal Kingdom of honor, power, joy and glory. I rejoice with You, my Master, Glorious, Immortal, and All-Powerful. May Your Will be done! Amen.